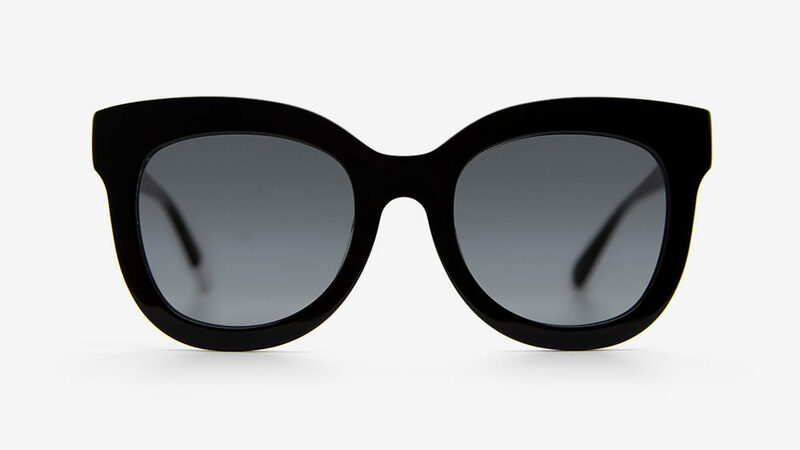 Bigger is better. 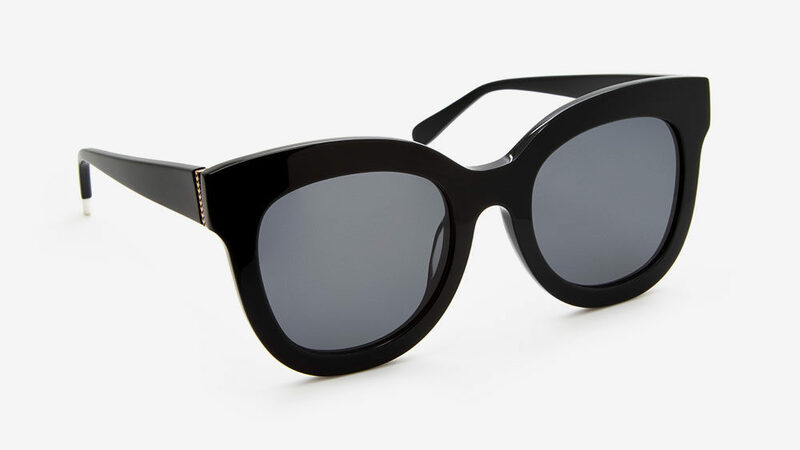 These statement sunglasses in an oversized cat-eye design provide wearable glamour without overdoing it. 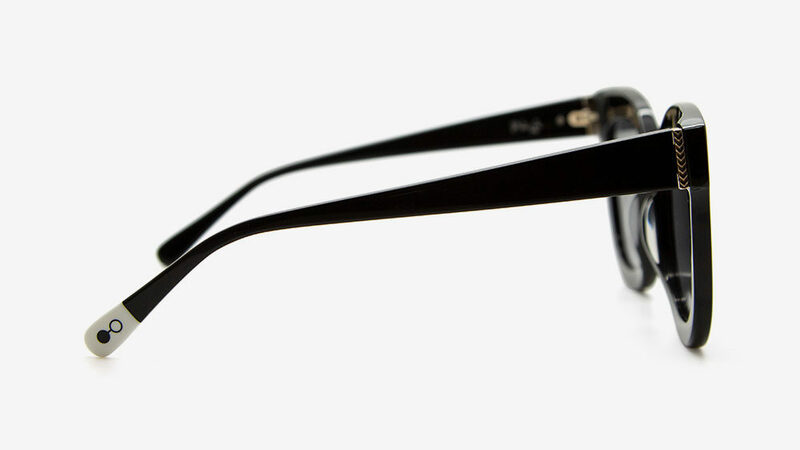 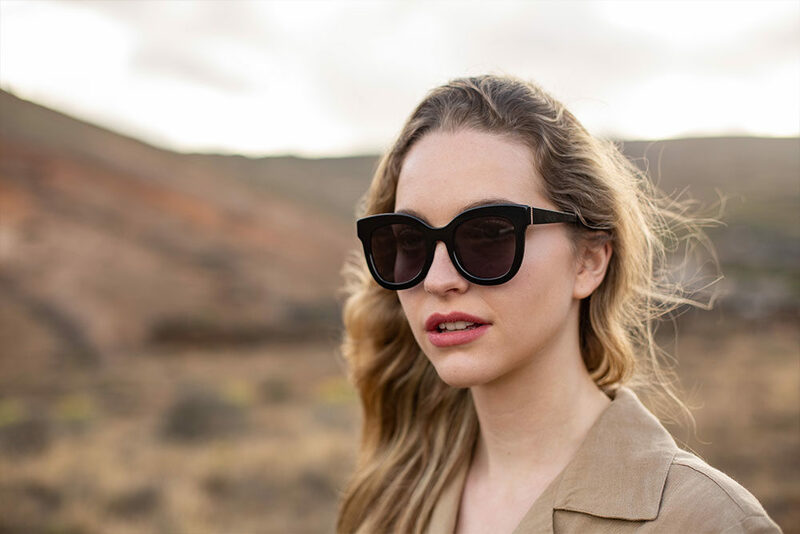 This frame comes in a glossy black recycled acetate with a soft solid smoked lens.